Albie has been living in a cat lover’s garden for almost 5 months. He does not appear to have a home of his own as he still resides in the garden wanting to come indoors even in very wet weather and gets soaked to the skin. He was in the Queen Street area of Newton Stewart. 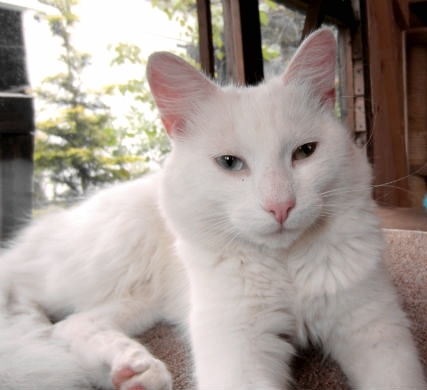 We think he is about 10 months old and is white with a medium length coat. He is not neutered. 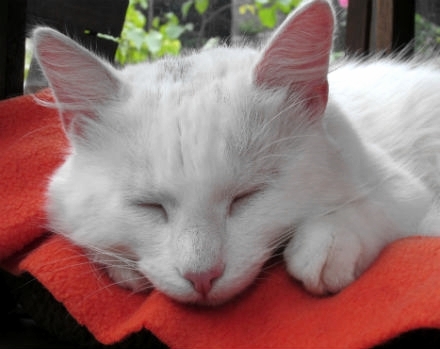 If Albie could be your cat please contact us. 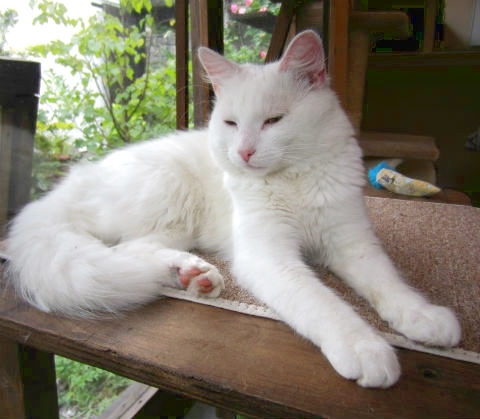 This entry was posted in Cats Found, Cats Lost and tagged Cat, Cats Protection, Found, Lost, Newton Stewart, Pet, White Cat. Bookmark the permalink.